A unique water-based sealer for porous and potential problem surfaces. 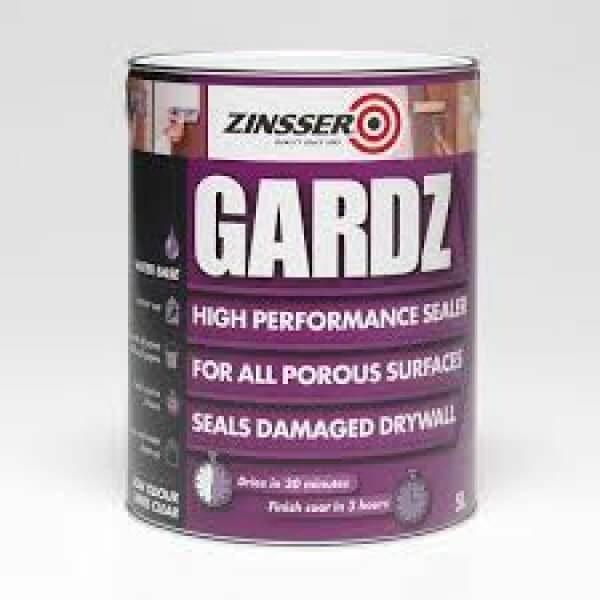 Gardz® is formulated to deeply penetrate and dry to a hard, moisture resistant film that seals and binds down porous, chalky and crumbling surfaces, paints and textured finishes. Gardz® takes the “problem” out of problem surfaces. Deeply penetrating, it dries to a rock-hard, water-resistant finish; this protects surfaces from damage during the next redecorating project. Gardz® is recommended for damaged drywall, new drywall, spackling and joint compound skim coats, plaster, calcimine, uncoated wallpaper, wallcovering adhesive residue, textured paint and more.